Can a modified snap bracelet be used to land infrastructure on an asteroid? It is notoriously difficult to stick a landing on a low gravity body, particularly if locomotion across the body is desired. We have been studying the use of arrays of bistable pinching elements for grappling onto the unpredictable contours of asteroids and other distant low gravity bodies. Each pinching element is mechanically actuated via an impact force, much like a snap bracelet. By coupling together arrays of such elements, we seek to demonstrate that the chain can conform with added precision to the topological structure of the body, as well as grapple more effectively. 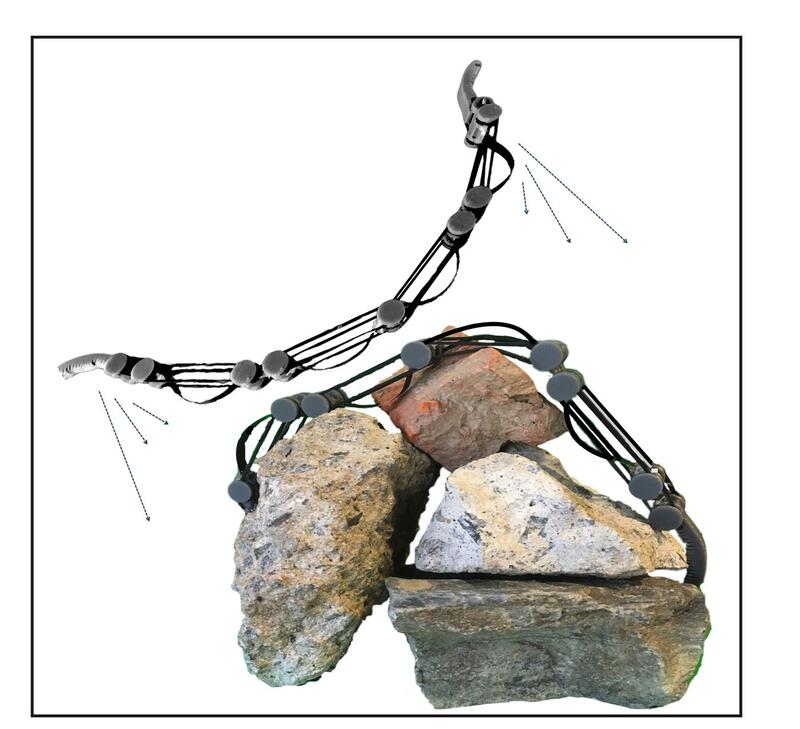 This mechanism can ultimately be used to land large-scale structures like nets and tethers across the body, which then serve as infrastructure for crawling distributed sensors or sensory membranes, among other possibilities. A concept paper on the broader work was published by the 31st Annual AIAA/USU Conference on Small Satellites. A prototype was deployed on a microgravity flight and results summarized at AIAA Scitech 2019. There may also be compelling uses for the technology on Earth for adhering sensors to terrain that is erratic and difficult to access, like the roof of a cave, or structures at the bottom of the sea floor. Two prototypes—one equipped with sensors—were tested on a microgravity flight by throwing them at a rocky target object. Data from the flight will be used to characterize the behavior of chains of one vs three bistable elements in order to inform future design decisions. Images may be shared if accredited.